But an excess of initial optimism, the collapse of the Greek economy and the risk of contagion across the eurozone soon provoked a U-turn, towards austerity. The German-led period culminated with the fiscal compact. The mild, self-inflicted recession in 2012, and the sluggish recovery in the following years forced EU leaders to ease their fiscal stance. 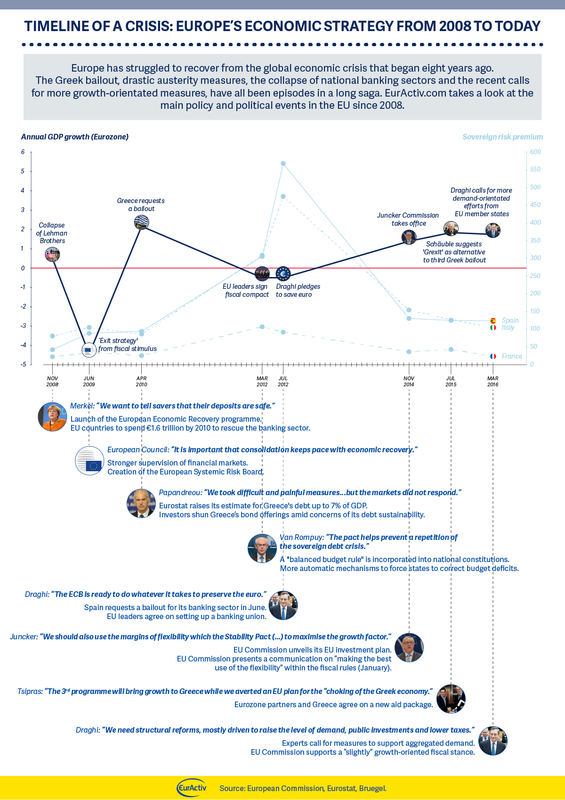 European Commission President Jean-Claude Juncker kicked off his tenure with an investment plan and a new interpretation of the fiscal rules. But this was not enough, decision-makers and experts agreed. ECB President Mario Draghi, for many the hero who saved the euro in July 2012, is calling for more public investment and demand-oriented measures to relaunch the European economy.